For most of us, summer is as close as we get to the luxuriously balmy weather of the tropics. But you can make the most of what you have with our Tropical Party set. 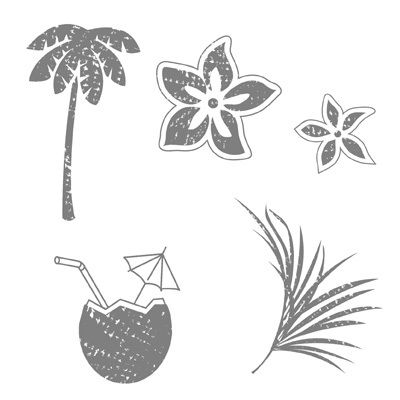 Create an atmosphere of lazy breezy days on the beach and in the surf with these island flora and fauna. And why not throw in a piña colada while you’re at it! Use this set—along with our coordinating Island Oasis Designer Series paper—to bring paradise on earth to your summer parties and to your scrapbook pages of the memories from an unforgettable vacation. Available in wood-mount and clear-mount. I have a free Serene Sunset tutorial available to you with your $25 purchaseat my online store, good thru August 31st 2010. 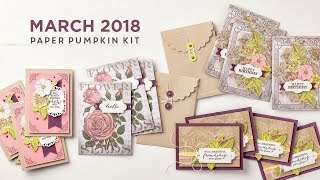 This seven page PDF tutorial hand out includes directions and color photos for 2 cards and a 6x6 scrapbook page layout; also includes photos of alternate versions of the same cards & layout using the Watercolor Trio stamp set! Feeling super sassy? 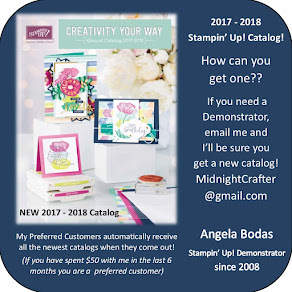 Spend $50 in my online store By Noon Monday 8/09 and I will include a bonus Class-to-Go! 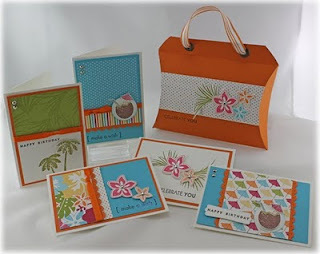 The Island Oasis Class-to-Go features the Tropical Party stamp set, and 28 pages packed with step-by-step instructions, full color photos, and detailed cutting instructions will teach you how to make a cute purse and 5 different notecards. These would make great hostess gifts, or invitations to your end-of-summer luau! The Tropica Party set coordinates perfectly with the Designer Series Paper Island Oasis 117173, combine and create a perfect storm of summer sassiness! Both items are only available in the Summer Mini through August 31st 2010.